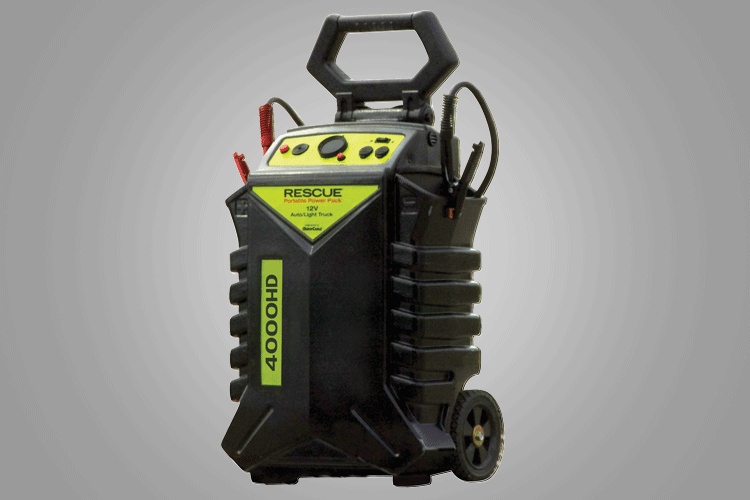 The RESCUE® 4000HD/4050HD series Portable Power Packs for 12V Auto/Lt Truck use follows the same high quality design of the 4000 series, with the exception of a few upgraded features for added power and heavy-duty performance. 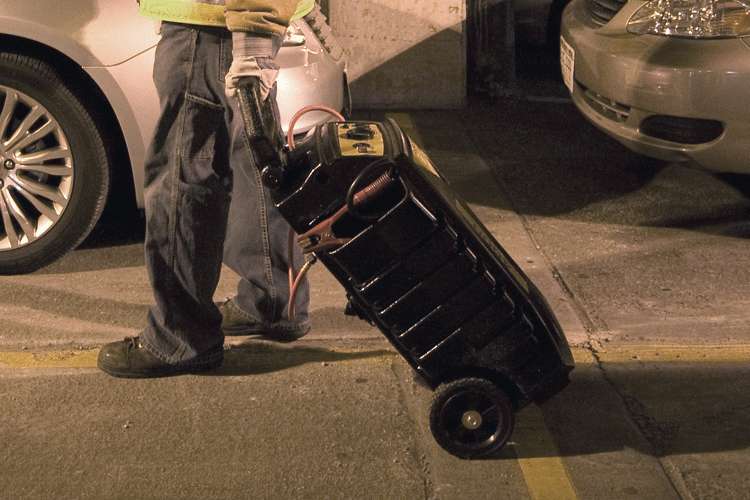 The 62” jumper cables are made from 100% copper 2/0 welding cable (instead of 2 gauge) with 900 Amp clamps (instead of 500 Amp). Other features include reverse polarity protection with alarm and light warning, two 12V power outlets, a digital voltmeter, and an onboard battery charger. Looking for something a little more versatile? 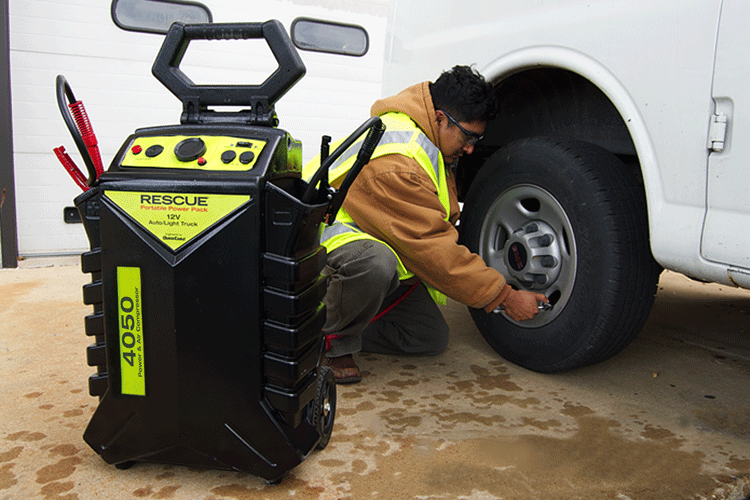 The 4050HD model includes an onboard air compressor with a 5’ air hose, integrated air gauge and inflator. 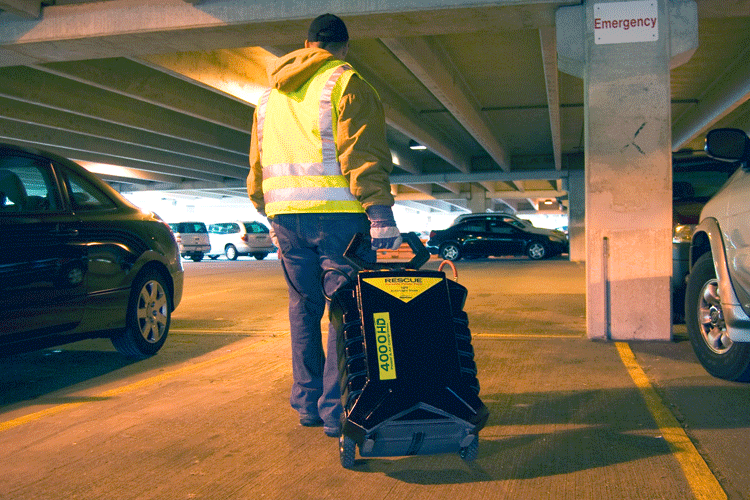 Now you can fix a flat and jump your car or light truck with one easy to use, easy to transport tool. Call for addtional information and pricing!